Olly Klassen’s love for Disney’s 20,000 Leagues Under the Sea drove him to collect souvenir pins, build model subs, and search for Nautilus patches, coins and paperweights. He wasn’t anyone who was going to be satisfied with owning a copy (or three) of the movie that he could watch anytime. He also needed to have the perfect viewing environment. 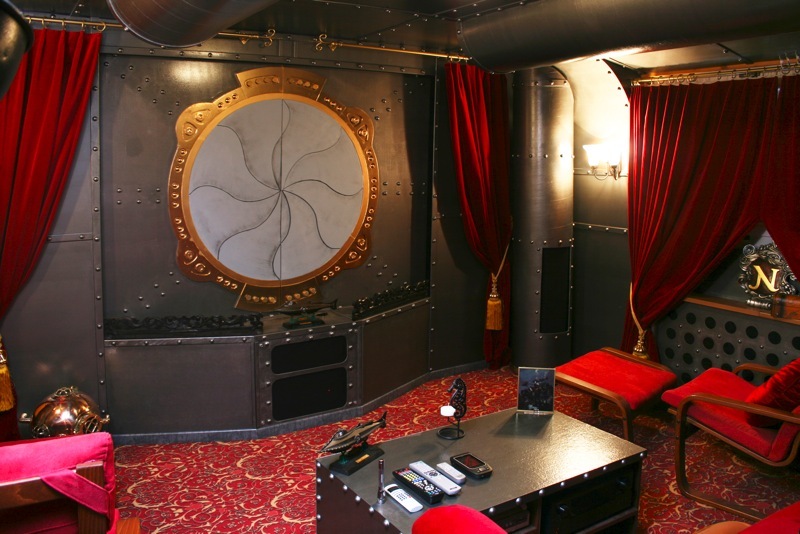 Now Klassen has fulfilled his dream of living in a piece of Nemo’s Nautilus by creating a home theatre where he can sit surrounded by the steampunk décor that so fascinated him. This entry was posted in Skiffy and tagged Disney, Verne by Mike Glyer. Bookmark the permalink.